Super Bowl schedule: What’s happening the week before the game? What’s going down before the Super Bowl? A lot, as it turns out. With the Pro Bowl and the festivities surrounding it in the rear-view mirror, it’s finally Super Bowl week. The Los Angeles Rams will face the New England Patriots from Mercedes-Benz Stadium in Atlanta, Ga. on Sunday, but before that, there are a slew of events for those who will be hanging around the city as the championship game descends upon it. 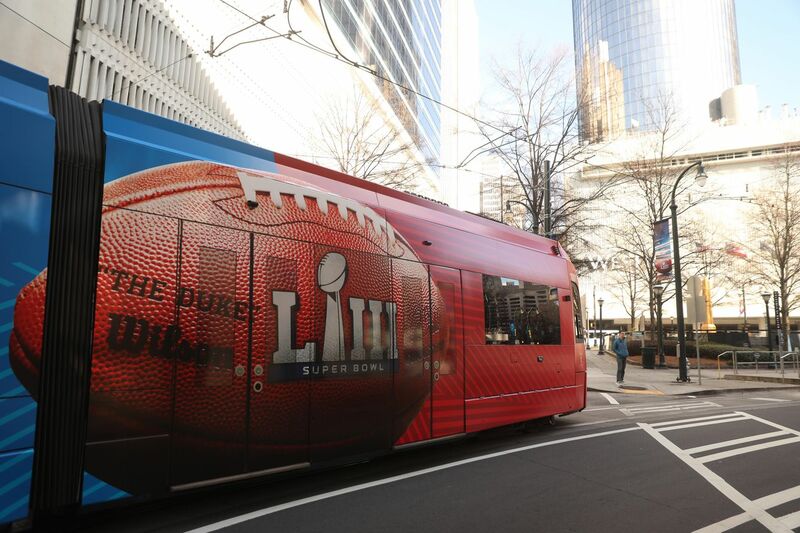 Before the big game kicks off on Feb. 3, we’re going to run through the biggest events the NFL, Super Bowl Host Committee and Atlanta are putting on. Super Bowl Experience: The yearly “interactive theme park” will return, featuring tons of events and festivities for fans attending the game or simply in Atlanta for everything surrounding the game. There will be youth football clinics, player autograph sessions and much more throughout the week. Super Bowl LIVE: Similar to the above, Super Bowl LIVE is the free-to-the-public “fan village,” which is usually decorated and themes around the host city, celebrating its culture, music and more. Fan Gallery: Ever wonder what us media folks are up to leading up to the game? The Fan Gallery is more or less a way to soak up all the frenzy and hype leading up to the big game, and not much else. Super Bowl Opening Night: This is the national “kickoff” for Super Bowl festivities. This event includes much of the media day schedule, with players and coached speaking in press conferences prior to the big game. Walter Payton Man of the Year Legacy Reception: It’s the second annual iteration of this event, which features past Man of the Year winners and 2018 nominees from each tea. It includes a cocktail reception, dinner and a silent auction. 20th Annual Super Bowl Gospel Celebration: If gospel is your thing, well look no further than this. Super Bowl Music Fest EA Sports Bowl feat. Ludacris, Migos and more: Well duh, it’s a concert! Super Bowl Music Fest – Aerosmith & Post Malone: More music! This time without EA Sports. Super Bowl Breakfast: This event has been going on since the late 80s, as fans mingle with some of the sport’s biggest names over a breakfast. The Bart Starr Award is also given out at this event. Taste of the NFL | Party with a Purpose: Another food-driven event — which I’m totally fine with — this one featuring some of the top chefs in America, meet-and-greets, more NFL players and all that good stuff. Super Bowl Music Fest — Super Bowl Eve feat. Bruno Mars and Cardi B: The finale of the three music concerts will take place on Super Bowl eve. NFL Honors: This event is closed to the public, but the two-hour primetime awards special will air beginning at 9 p.m. ET on CBS, and will feature all of the biggest yearly awards being handed out by the NFL. GameDay Fan Plaza: Pep squads, drumlines, photo opps, NFL shops and all those goodies await after clearing security on game day. Super Bowl LIII: The Rams are playing the Patriots, if you didn’t know. For any further explanation or a calendar of events for Super Bowl week, check here. ← Did I Encounter A Vampire?